Priorat Spain is a fascinating wine region with some of the oldest wine growing and production of delicious wines. It is located in North-Eastern Spain, situated between Barcelona and Valencia and in the Catalan region. 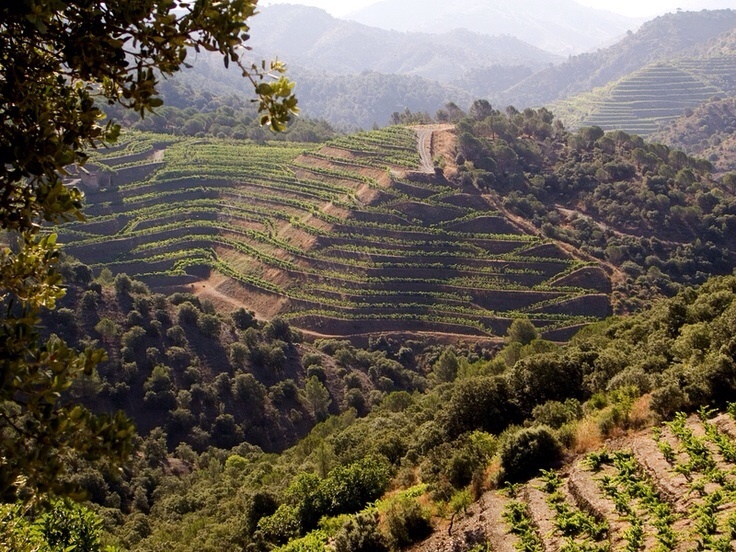 Priorat is 25 miles off the coast of the Mediterranean Sea. If you visit, be prepared for a different version of Spanish (Catala) but a passion for winemaking and wine unparalleled worldwide. The wine growing dates back to 1194 and was originally tended to by Monks from the Carthusian Monastery of Scala Dei. The monks cared for the vineyards for over 6 centuries until they were expropriated by the state in 1835. Towards the end of the 19th century, phylloxera devastated the region and it was not until the 1950s that the vineyards began to re-emerge. The terrain is mountainous, rocky, and fairly rural with terraced vineyards rising up in the hills and mountains. The climate is hot, with long summers, very little rain, and cool evenings. The soil lacks nutrients and the roots extend down nearly 30 feet to reach the base water to sustain. The soil type is mostly llicorella, which drains exceptionally well and is composed of red and black slate, mica, and quartz that has started decomposing. The conditions yield very low quantities of fruit but the quality is phenomenal and the wine growers take great pride in producing world renowned wines. The farming is mostly done by hand, making the work painstaking. The farmers and winemakers have great passion and love for their grapes making exceptional wines. This makes this unique terroir one of my favorites in Spain. The main grapes are Garnacha (Grenache) and Carinena (Carignan). Cabernet Sauvignon, Syrah, and Merlot are commonly grown as well and blended into the wines to provide more power and structure. The vines are low yielding, thus producing flavorful and deep structured wines. Priorat has quickly garnished global acclaim and its’ fast rising fame has made it some of the most expensive Spanish wines. I am featuring 3 wines from Priorat that I have had the privilege to experience and share with you. They vary in vintage, price and composition of the blend of the 4 grapes above. I have also included 3 of my most trusted palates to experience these wines with me. What use is great wines without being shared with great company and enjoyment. The first comes from Marco Abella and it is their Loidana, vintage 2009. This wine has great balance, structure, and although it has power, it exudes a delicate formation of 37% Garnacha, 31% Carignan, 22% Cabernet Sauvignon, and 10% Syrah. Straight out of the bottle, this wine shows masterfully. With hours of air, it continues to improve. As the winemaker shared with me, “all the care in the vineyard is strictly by hand.” The love and passion they put forth in their wines is completely apparent in this bottle. On the nose, I get red fruits especially strawberry. On the palate, the flavors of blackberries, dark cherries, cassis, licorice, white pepper and spice protrude through the finish. There is even a hint of dark chocolate, leather, and tobacco on the back layers. It has nice acidity and round tannins. I give this young wine 92 pts and will revisit in a few years, expecting it to only improve with age. It is distributed through the Terlato family and is found in the United States priced under $30 per bottle. I would recommend enjoying this wine through 2020. The second wine comes from Cellars Unio and is their 2009 Roureda Llicorella Gran Seleccio Vitis 60. It consists of 40% Grenache, 40% Carignan, 10% Syrah, and 10% Cabernet Sauvignon. On the nose, light pepper and ripe black fruit are present but not overwhelming. The wine is well balanced with flavors of dark berries, blueberries, wild berries, tobacco, licorice, and peppery flavors. It is firmly structured and has firm tannins. This bottle was imported in the United States by Grape Expectations, Inc. It can be found priced in the mid $20s. I give this wine 89 pts and believe it has some potential to improve over the next few years. The last Priorat wine we experienced, is the 2005 Noster Inicial. It consists of 70% Grenache, 25% Carignan, and 5% Cabernet Sauvignon. You would never guess that it is predominately Grenache as it comes in big and seemingly high in alcohol. This dissipates over a couple hours after opening to round out. It has a nose of smoke, spices, and dark berries. The black cherry and dark fruit flavors unfold with licorice and raisins with a bit of dusty tannins in your mouth. For a wine found around $15, it is quite a bargain and I would give it 88 pts. I would recommend allowing this wine to breathe for a couple hours and enjoying by 2017. 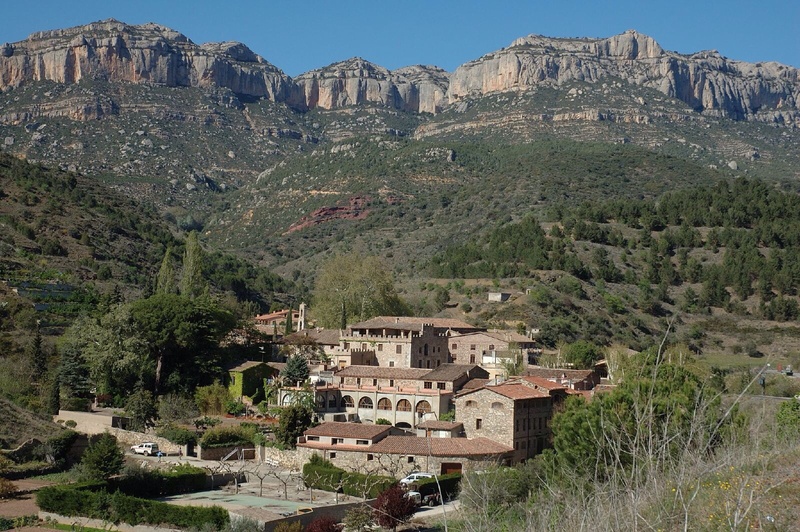 Although I think you cannot go wrong with the region of Priorat, depending on your price point you can find wines that are approachable at their youth or bottles that are age worthy and only going to continue to impress for years to come.